There is nothing like a ranger team-up. They're the usual bits of Power Rangers fun and action with the added bonus of seeing two disparate casts of characters interact. While Zeo did have a team up with the Alien Rangers, it was minimal as far as content goes. 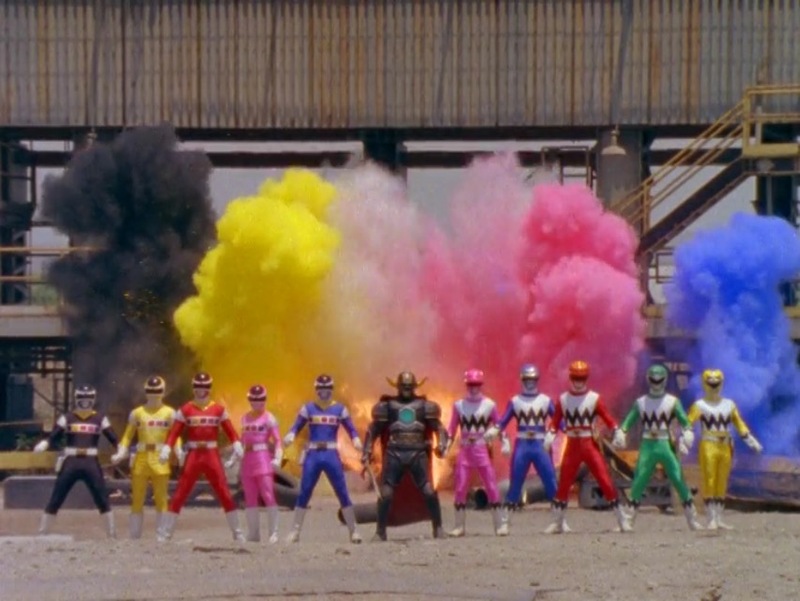 To the Tenth Power is the first real team up we get in the ranger universe and it is prolific in what it does for the remainder of the season and Power Rangers as a whole. While not technically a multi-parter, these 3 episodes do work together as one complete story. 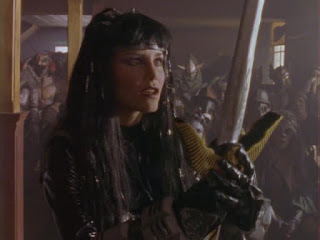 While the death was written in for a real-world reason (Kendrix's actor was diagnosed with Leukemia and needed treatment), the solid storytelling and aftermath of her character's death is a really powerful moment for the franchise. In the final part, Protect the Quasar Saber, the rangers go in search of Kendrix's saber when they learn it has fallen into evil hands. Karone, Andros/Space Red's sister and former villain Astronema, is able to get the saber away from the forces of evil, and after a near-death experience, inherits the powers of the Pink Ranger from Kendrix. There's a lot of character work at play here, with Karone having wanted to be a ranger since she was a little kid, and finally getting her chance here. Zhane is annoyingly absent from the episodes; I believe for availability reasons. It's just weird because Mike gets to play a fairly decent role here. (It also is just confusing that the episode is called "To the Tenth" when there are 11 people fighting.) Speaking of Mike, he is operating Terra Venture when Kendrix is killed, and it's really weird that we never get his reaction of her death. 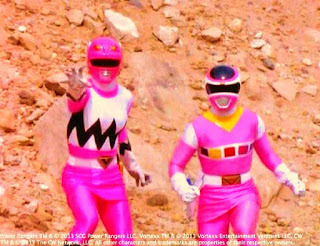 While filming (or maybe in planning) Cassie was supposed to become the new Pink Galaxy Ranger, not Karone. If you watch the Power of Pink, you'll notice they heavily set this up, and then it's kind of dropped by the following episode. That's not exactly a problem, in fact it's nice to see Cassie and the other Space Rangers dealing with their guilt, but it's certainly a bit strange when Karone shows up. That's especially true when they never explain how she got from planet to planet. These 3 episodes give us one thing that is not always present in Power Rangers- stakes. The stakes are high throughout all 3 parts. We have some of the toughest villains to ever appear on the show, 11 warriors teaming up to fight them, the death of one of those warriors to save another, and a former villain taking up the Power Ranger mantle in the dead one's place. It's epic, and a certain level of stakes are needed in the movie universe to make things work.